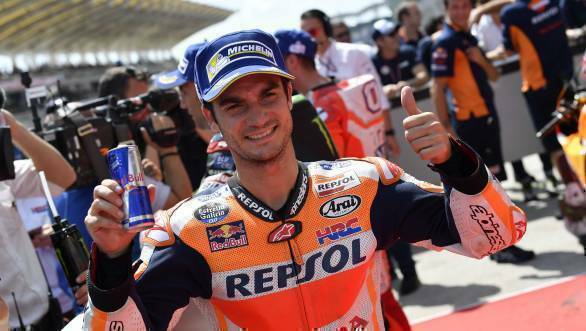 Dani Pedrosa has announced that he will retire from MotoGP at the end of the 2018 season of the motorcycle championship. The 33-year-old Spaniard made this announcement before the German Grand Prix to be held this weekend. Pedrosa has spent his entire MotoGP career at the Repsol Honda team, having made his debut in 2006. But he was left without a ride when the team did not renew his contract beyond the current season, signing Jorge Lorenzo as his replacement for 2019. There were reports of him joining Yamaha's new satellite operation, the Sepang circuit-owned SIC Racing Team but this new development means that is highly unlikely to happen. Pedrosa has 31 wins and 112 podiums in the premier class to his credit. He has finished second in the championship thrice, in 2007, 2010 and 2012, but a MotoGP title has been elusive. He won the 125cc title in 2003 and the 250cc titles in 2004 and 2005. 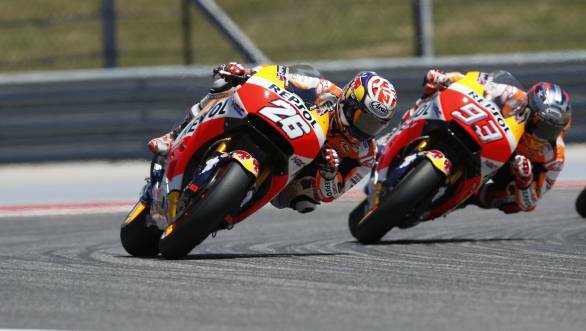 Pedrosa has helped Honda win seven constructor's titles, with six being for the works-backed Repsol outfit. The present season has been rough for him, he has had a podium finish in the eight races that have happened and is currently at 12th position in the championship. Pedrosa said that he had come to this decision after thinking about it for a long time. He came to the conclusion that he did not live racing with such an intensity as before and now had different priorities in life.